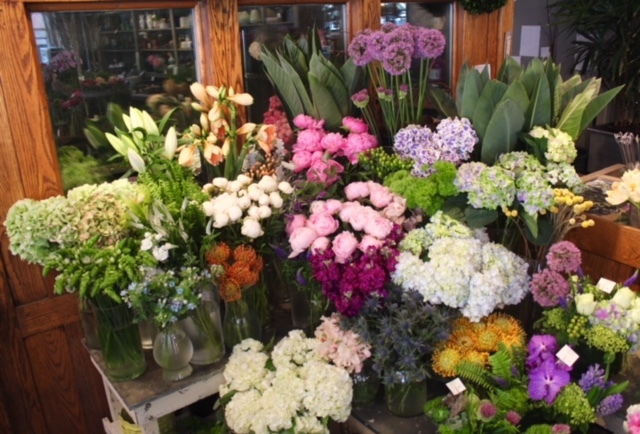 Rouvalis Flowers - Boston Florist, Flower Delivery, Corporate Floral, Flower Subscriptions, Plants & Garden Design BlogHappy Saturday! Happy Saturday! We are here until 6pm tonight with plenty of beautiful blooms and plants to fill your window boxes or outdoor containers! Add a pop of color to your home with favorites like peonies, hydrangea, roses, sweet pea, amaryllis, and the very popular allium. Our outside display is filled with greens like ivy, boxwoods, and club moss, to be accented with colorful flowering plants like calibrachoa, impatiens, lacecap hydrangea, and boraca!